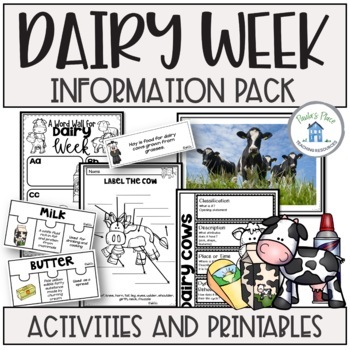 Dairy Pack - This pack provides information about dairy cows and the products that they can produce. 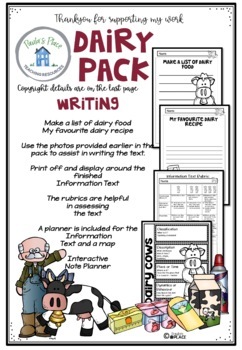 This pack will assist in the writing of your own Informational Text, guided by a rubric. 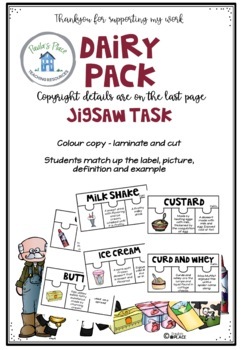 It will support your work for National Dairy Week. • Use the photos provided in the photo section to assist in writing the text. 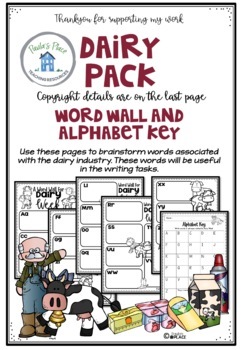 • There are a variety of papers and planners provided.